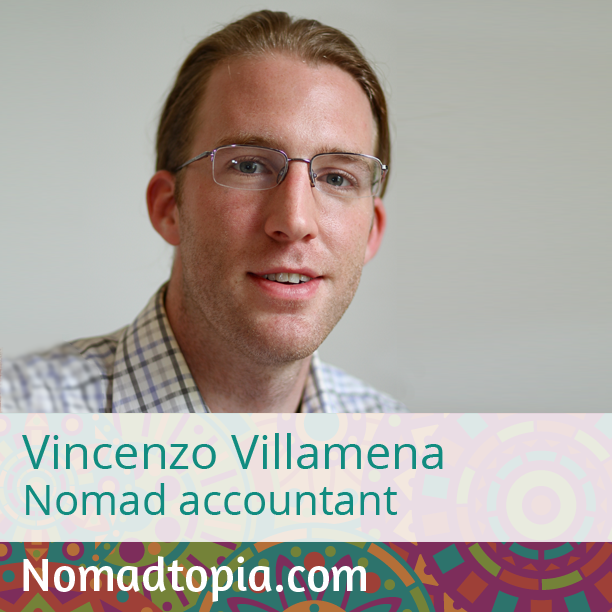 After seeing expats’ tax challenges first-hand when he moved abroad in 2010, Vincenzo started a new business helping expats with their taxes. He’s been an expat and nomad ever since, and in this episode we talk about his favorite festivals around the world, tax tips for American nomads, expats, and travelers, and much more. Thanks for the great interview. The discussion on business expenses was specifically useful for me because I’m always wondering how to justify what are business expenses and what aren’t business expenses. The conversation helped me feel more confident on some of my previous assumptions. I’ll reach out to you Vincenzo on a separate thread to see if you or your company can support with our bookkeeping/accounting. Awesome, Ian, I’m glad it was helpful! People like Vincenzo who have the professional expertise as well as an understanding of what it’s like to be a nomad are invaluable. I learned a lot from him too.